Is it snowing in Shymbulak ?ありがとうございました! 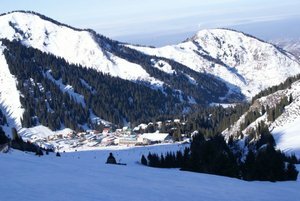 Chimbulak, in Kazakstan, is a small ski resort with 5 ski lifts (4 chair lifts, 1 surface lift) but it does boast a very impressive 943 metres (3094 feet) of vertical descent. 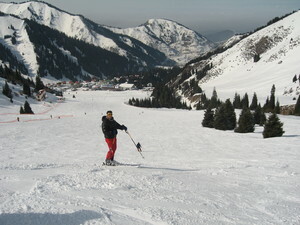 Chimbulak has 99 acres of terrain over 8 pistes with a total length of 15 kilometers (9 miles). We have no information about the existence of any cross country ski trails at Chimbulak. The nearest airport is at Almaty. The hotel at the Chimbulak resort is right on the piste and rooms start at 10,000T (approx:70 USD). The hotel has a reasonably priced bar and restaurant, local beer is 500T for a large one and you can get a meal for 2000T. -despite lack of runs to ski there was a nice run reserved for race training, which is fair enough as the resort was very quiet mid-week. -resort toilets facilities are very clean but don’t try using the bathrooms in Medeo. They are down 4 (could be more) flights of concrete stairs hidden in a car park. Then there are only 2 dirty cubicles! If you can hold it for 40 minutes best wait till you get off the gondola. -taxis, taxis, taxis......... OMG! Basically there aren’t any. 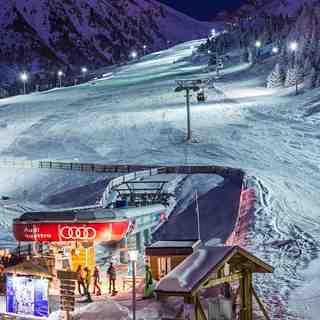 You finish your days skiing then look for a taxi back to Almaty. No. If you are lucky you will find one, if not you need to wait in the cold, take the bus, or pay someone to take you back who is there with a car, I also tried calling my hotel to ask them to arrange a ‘city’ car. They did but it picked up someone else. Basically, no transport infrastructure in place other than the bus. 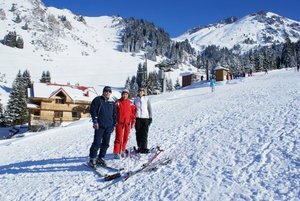 In short; I liked Shymbulak a lot and it has real potential as a ski destination for UAE residents alike when it offers a superior service and product. Damaged equipment, a lack of organisation, friendly staff and no way to get home are all deal breakers for me. I won’t go back unless it’s a private ski tour or climb which doesn’t require Shymbulak’s services. Contrary to Shymbulak, the surrounding areas are fantastic for climbers. So much to offer. 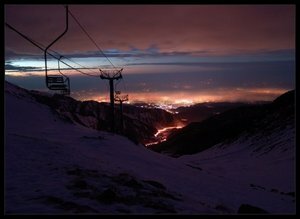 And, Almaty itself is a great city. 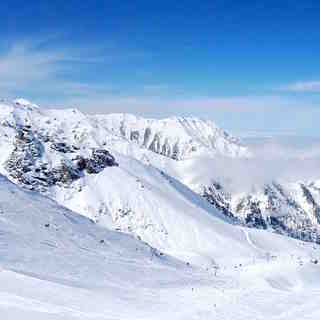 I will be returning later this year; just a shame I won’t be skiing.